(Newser) – She was called a thief. Now she can be called a millionaire. 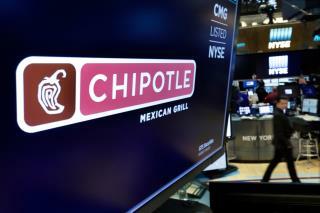 The Fresno Bee reports on the outcome of a wrongful termination lawsuit against a Chipotle in Fresno, Calif., that ended in favor of a manager who was fired in January 2015. Jeanette Ortiz, who had been with the company 14 years and was pulling in $70,000 annually, filed a worker's comp claim in December 2014 over carpal tunnel syndrome. The following month she went on medical leave and was then fired, with her bosses accusing her of stealing $626 from the restaurant's safe, an act they say was caught on video. Except they wouldn't show her the video, and then destroyed it. On Thursday, jurors awarded Ortiz $7.97 million in damages. four WC claims??? She is dirty. WC insurance is for job related injuries. California awarded 6 million for a spilled hot coffee. Remember? The fools on these juries forget that this eventually comes out of the public's pocket. Sounds like the jury quickly figured out what was really going on. I've eaten Chipolte food dozens of times but never darkened the door. I attended these receptions, luncheons, and such and they will be the one who catered it. And I do at least 3 a week where I work. But I've never been there.